Tesco really is the biggest British business story for a while, so no apologies for following on Bill's mega-post of yesterday. I am interested by the leadership aspect. Tesco was noted for its clear-sighted strong-men at the top: Cohen himself, Porter, MacLaurin and of course Leahy. I met Cohen a couple of times in his dotage - a crusty old chap, I think it is fair to say - and had some slight business dealings with Leahy. Like everyone else on the planet I was deeply impressed: he struck me as (a) a very straight bat; (b) decisive, if slightly cavalier; and (c) probably very good to work for. But his legacy appears to have been awful. Is his a case of getting out before anyone notices you've screwed up ? - or Weinstock / GEC syndrome, where the successor generation takes a sound business and very promptly trashes it ? If anyone knows, it would be interesting to hear. It's a clever trick, to leave at the top of one's game, as Gordon Brown knows only too well. Only met him the once. Was also deeply impressed. But his book, '10 lessons for business' contains 10 lessons so obvious you wonder if he was keeping the 10 REAL ones back for a sequel ? Or maybe, those 10 basic lessons really WERE his business model. And he just made sure they were carried out effectively ? IMO it isn't as clear cut as GEC. We have a lot of anti capitalists around whining about big business and it is usually Tesco that they name, followed by a lot of whingy whiney girly men who can't think for themselves and then there is the economy. 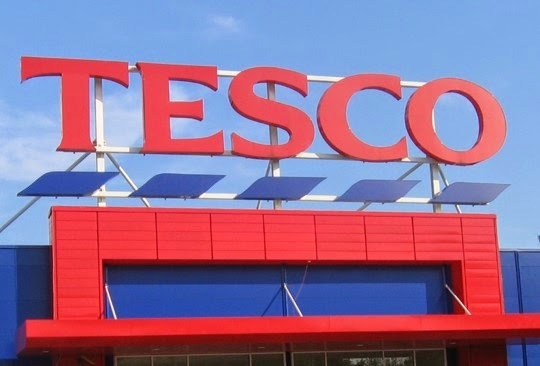 Tescos isn't seen as a cheap brand although they are competitive. They are still taking a third of our grocery cash though. So I'm sure they can identify the non-profitable areas and fix them. Then there will be whinging about how Tescos dumps staff in loss making areas. HeyHo. Such is life. Tesco have squeezed their suppliers so hard that the only ones left are those supplying a sub-standard, manky product. Customers are now wise to this. Tesco are still making an operating profit. My local store was still packed yesterday lunchtime. How much of this is just the previous incumbents accounting wizardry coming back to bite them? It's assets that are being written down AFAIK. So perhaps if previous reported profits hadn't been so high they'd be weathering this retail storm with better current figures. I can think of another FT100 company that (like Tesco til quite recently) keeps increasing turnover and profits - while debt is humongous and return on capital employed is falling. The business had maxed it and wasn't going to go any further. The Crunch brought a need for austerity shopping and this is where they failed to match Lidls and Aldi. Cut backs and loss leading on key products is needed to win back trade. I hate shopping in Lidls and Aldi but you come away feeling like you've robbed a bank. Tesco need to be able to create this feeling. The GEC model worked as Weinstock acted as a banker. Here's the cash, now pay me 6% on it. Competed against them and the GEC units were competent - but nothing more. The Tesco near me appears to be some sort of test bed for new ideas. If you go round one corner, you are in Primark; another Boots; another PC World. They appear now to be using a department store franchise model by flexing the overall space - but its their own in-house franchises and they are not as good as Primark, Boots and PC World. No original ideas. 1 figureheads in every walk of life are overrated and don't really matter that much. Leahy didn't deserve the money he was paid at the time, didn't cause the success Tesco had and equally was not the cause of Tesco's failure. just like Hamilton is probably the best race car driver of his generation, the reason he wins is not all down to his skills, there are a couple of thousand people who all worked hard to make the fastest car. Hamilton is just the visible figurehead and so gets the money. it is a weird cultural thing and I hope it dies away. in the same sense, I don't think it will really make much difference if Milliband is elected. 2 there are undoubtedly figureheads. and you may well say that if it wasn't Newton, it would have been someone else (Leibnitz). The thing is it was Columbus and not one of a dozen others.